Posted May 3, 2018 by Steph Auteri & filed under 500 lessons in 500 days. With the endurance of the #MeToo movement, and the conversations it has engendered, more and more people are coming to understand that problematic situations aren’t as black and white as they first assumed. And they’re coming to understand why. While the incidents that have necessitated these conversations are upsetting, it’s also heartening to see people grasp the impact power differentials can have on a relationship. 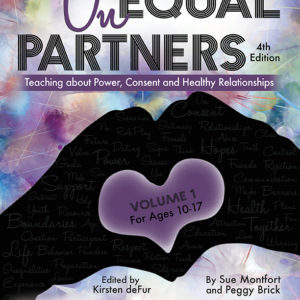 In Unequal Partners, Sue Montfort and Peggy Brick take this concept of power/ powerlessness and apply it to a wide variety of relationship types that students might encounter throughout their day-to-day. Describe situations of powerlessness and identify associated feelings. Explain what it means to have power over someone. Identify situations and relationships that make a person feel powerful or powerless. Every relationship may have some imbalance of power (e.g., one person makes more money, one person is stronger), however, some power differentials are unhealthier than others. This lesson uses a variety of strategies to raise consciousness about the problems of power and powerlessness in relationships. During this lesson, participants reflect on what it’s like to feel powerless, examine different ways that a person can have power, and consider power differentials in a variety of scenarios. The lesson goes on to spur discussion on the times students have felt powerless, and why. It also prevents multiple relationship types, giving students the chance to talk about who might have more power, and what gives them that power. Examples include the older/younger sibling dynamic, the parent/child dynamic, and the employer/employee dynamic. Eventually, the lesson plan makes its way to romantic relationships, taking the lessons students have thus far learned about power differentials an applying them to dating. 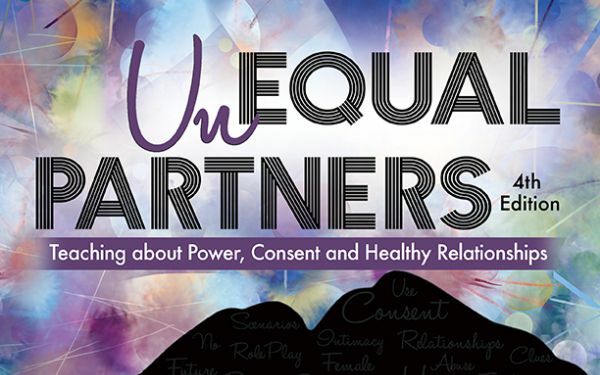 If you’d like to see the full lesson plan, you should pick up your copy of Unequal Partners here!